DETROIT — The last train left Michigan Central Station 30 years ago and it has stood vacant ever since, a hulking embodiment of Detroit’s long decline from America’s manufacturing engine to its biggest municipal bankruptcy. The 105-year-old building that once handled all of Detroit’s passenger rail traffic closed in 1988 due to a decline in ridership and took on a new life in the subsequent years as a must-see destination for urban explorers, the homeless and scavengers, who picked it clean of anything valuable. After years of failed short-lived plans to repurpose the dated 500,000-square-foot, 18-story building, its future may be crystalizing: The Ford Motor Co. is moving into the surrounding neighborhood of Corktown and — according to Ford board member Edsel B. Ford II — is in talks to buy the old station. Few details about the company’s interest have been made public. On Thursday, the Dearborn-based automaker began moving about 200 members of its electric and autonomous vehicle business teams into a refurbished former factory a few blocks from the train station. The move allows the automaker to strengthen its development of self-driving vehicles. It could use the train station for a similar purpose, as it’s unlikely to use it for manufacturing. 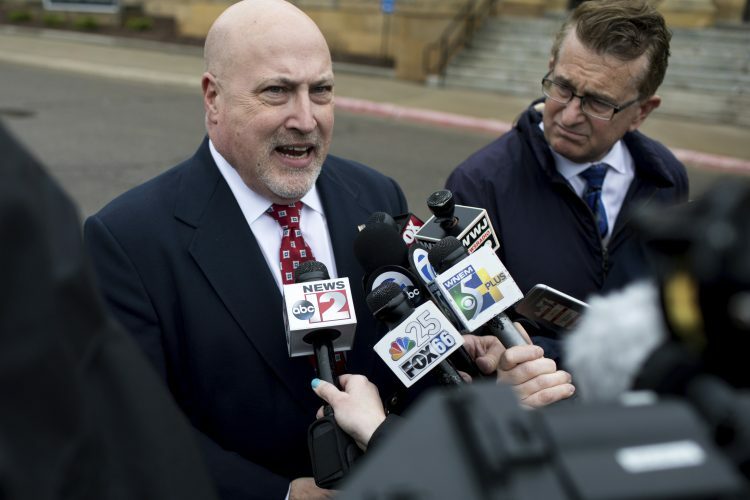 “We expect to grow our presence in Detroit and will share more details in the future,” Ford spokeswoman Dawn Booker told The Associated Press in an email. Billionaire Manuel “Matty” Moroun, who bought the building in the 1990s and also owns the nearby Ambassador Bridge linking Detroit and Windsor, Ontario, didn’t reply to requests to discuss the former train station’s future and possible sale. Though Ford has deep roots in the Detroit area, some locals are taking a wait-and-see approach to the company’s interest in the property, which has been pitched as a possible police headquarters or retail space and casino over the years. The City Council wanted it demolished and forgotten. Stephen McGee, who is restoring an old house near the station, said such a large reinvestment by Ford would send “an international signal to other companies” about the city. “A company of that size would be the only way a building of that size would come back the right way,” McGee, 36, said of Ford. 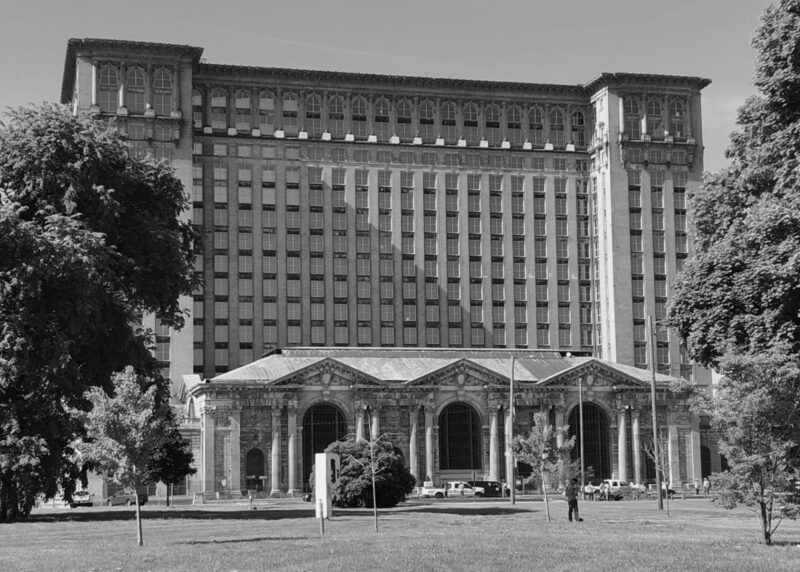 Michigan Central Station was completed in 1913 and was a busy rail hub for decades. But as people traveled more by car and plane, demand for rail service waned. In 1986, its 3-story depot handled about 64,000 passengers, down from 82,400 the year before. It closed two years later, giving way to scavengers who stripped it of everything of value, including its wiring and plumbing. The edifice fronted by massive columns that jut from an elaborate yet faded entrance piqued the interest of urban explorers, the curious and squatters, and it became the most iconic symbol of Detroit’s fall from greatness. One explorer was hurt in 2012 after falling 30-40 feet through the floor and into the basement, and razor wire fencing was eventually erected to keep people out. Moroun installed new windows and working lights a few years ago, and an invitation-only gathering was held in the depot last September as part of an annual event to bring investment to Detroit. “It’s a beautiful backdrop. At night — now that they have lights in there — it’s not so dark and dismal,” Bryant said. A refurbished and open Michigan Central would anchor Corktown, which has trendy bars and restaurants and is one of the neighborhoods in and around downtown Detroit that are on the upswing. Bryant said business has been good at the Mercury, but having hundreds of Ford employees working out of the building would be great for other local businesses. Several other cities in the region have found new uses for their train stations in recent years. New York state pledged $5 million to help make Buffalo’s Central Terminal concourse functional for community and private use. Preservationists stepped in to save the station after it closed in 1979. Cincinnati’s 85-year-old Union Terminal is being renovated and is home to the Cincinnati Museum Center. A voter-approved sales tax is helping fund the work. Fort Wayne, Indiana’s, Baker Street station closed in 1990. A local architect later bought and worked to renovate the building. It’s now is a banquet facility.